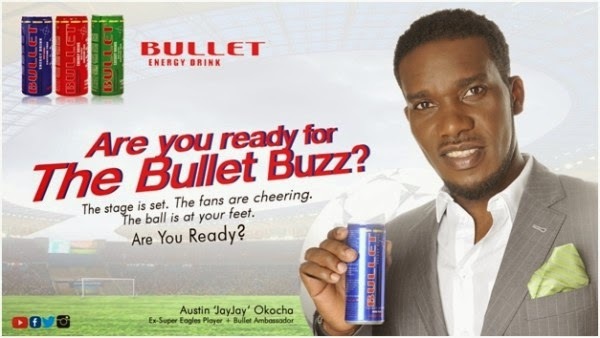 Nigerian football legend, Austin Jay Jay Okocha has just penned down a mouth-watering deal with bullet energy drink. Okocha reportedly pocked a whopping N15million for the deal joining actress Chika Ike as ambassador. 15m only? That's too small for a living legend. .....and he even accepted it? Maybe he is already broke.